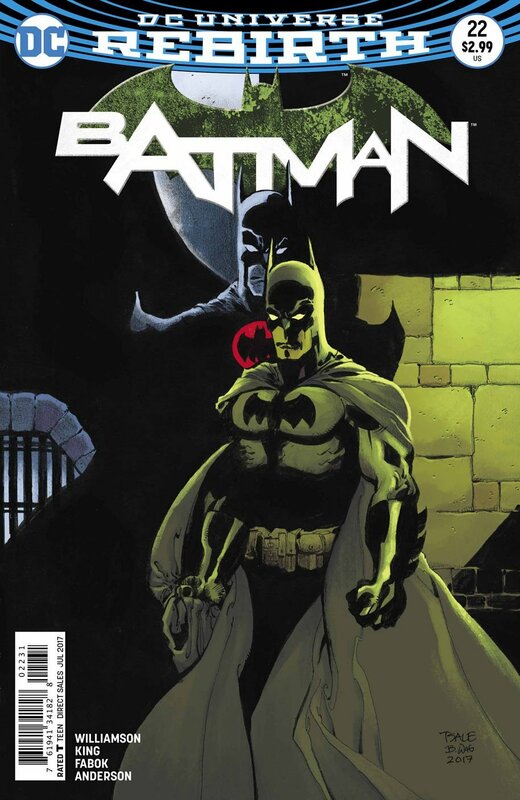 Everyone involved in Batman #22 needs to take a bow. This is a sensational issue that will be talked about for years to come. Time sure does fly when you’ve got Barry Allen in a story. We’ve reached part three of “The Button” and it might just be the most important issue in this arc yet. 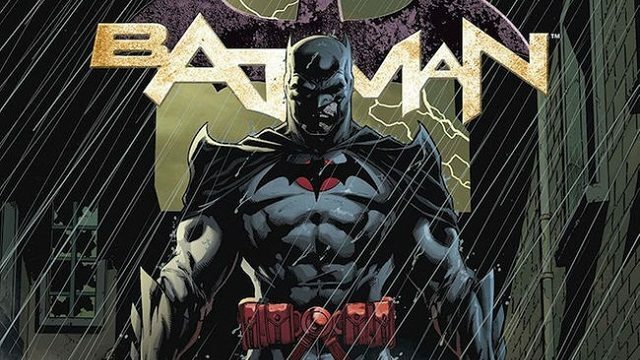 Batman #22 pulls no punches as it unravels the mysteries of Rebirth and Flashpoint. It’s difficult to detail what happens in this issue without giving away too much, so I’m going to keep it simple. We find out more about Flashpoint Batman, as Bruce tries to catch up on lost time with his pops and Barry rebuilds the broken cosmic treadmill. However, as Barry explains, something doesn’t make sense here since Flashpoint was meant to be an alternate history, not an alternate world. So, why does it still exist? In the meantime, Thomas’s cave comes under attack, and father and son team up to lay the ultimate Bat-beatdown on the intruders. In a flash (ha! 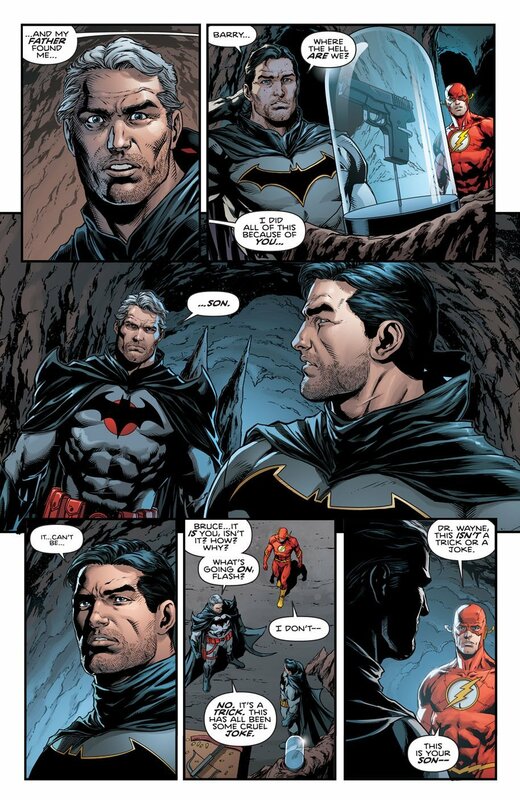 ), Barry gets the treadmill working and they leave Flashpoint, only to encounter the most unexpected person on their journey. Giving Joshua Williamson writing credit on this issue proves to be a smart move. Tom King is the sort of writer who tends to shine when he’s given longer arcs, but struggles with quick-fire storylines. 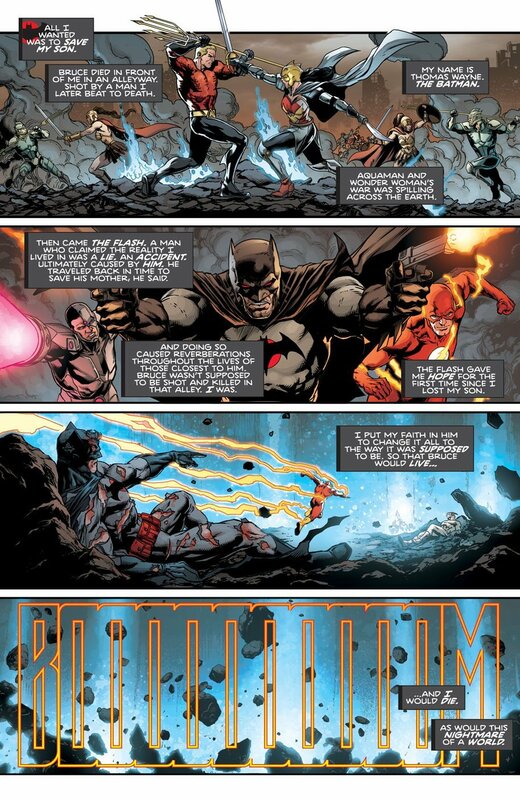 Williamson, though, showed in The Flash #21 that he’s capable of pushing a lot of narrative with limited space. Here, he shows his mettle again as he addresses the Flashpoint conundrum – since it’s technically not supposed to exist anymore – and also advances the button’s purpose in the bigger scheme of things. That ending, in particular, catches many of us off guard, and makes you wonder just how powerful the Speed Force really is. The emotional hooks of this story cannot be ignored; this is one issue that kicks you right in the feels. There have been many poignant moments in Rebirth so far – the most notable being when Barry remembers Wally. 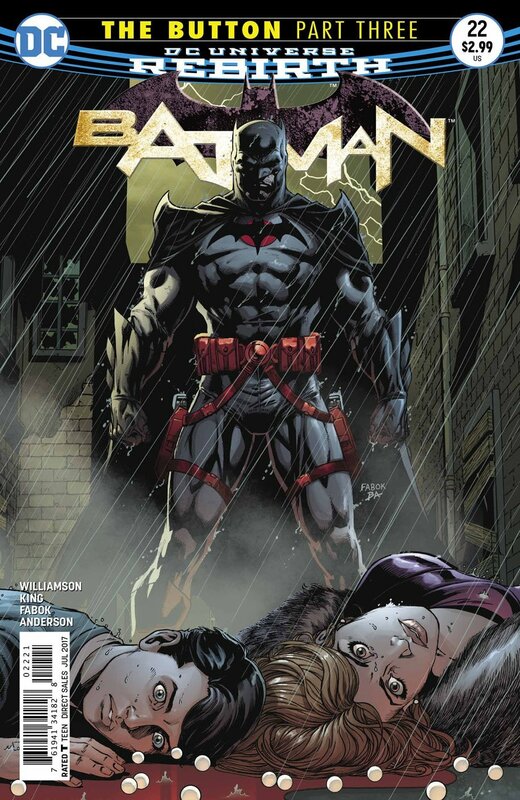 Yet, the big one in Batman #22 might take the top spot now. 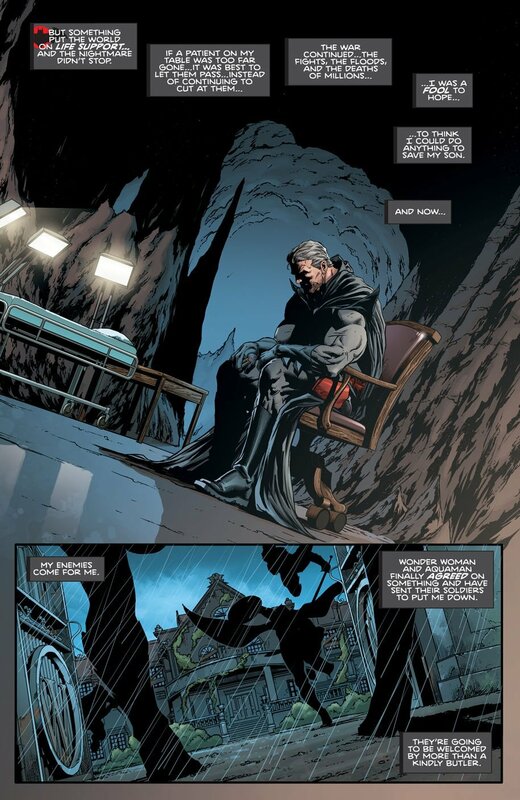 Seeing Bruce finally interact with his father, Thomas, is simultaneously heartwarming and heartbreaking. However, the outcome of their interaction will leave a lump in anyone’s throat – and if Barry’s prediction for them being sent to Flashpoint is correct, the villain of this story is a real heartless S.O.B. 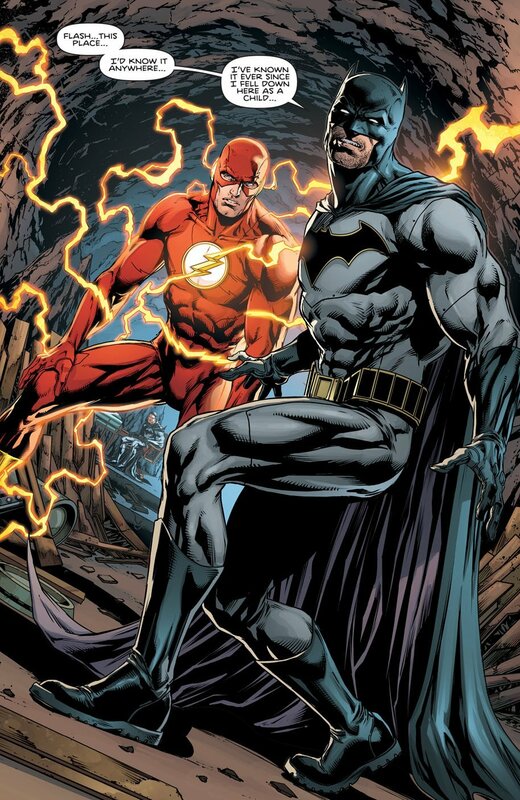 Once again, Jason Fabok’s art is magnificent. Whether we’re in Flashpoint, current day, the cosmic treadmill, or memories, he depicts the dynamics of each world eloquently. One has to question why DC didn’t allow him to illustrate this whole thing, because he captures the essence of this story far better than Howard Porter did in The Flash #21. 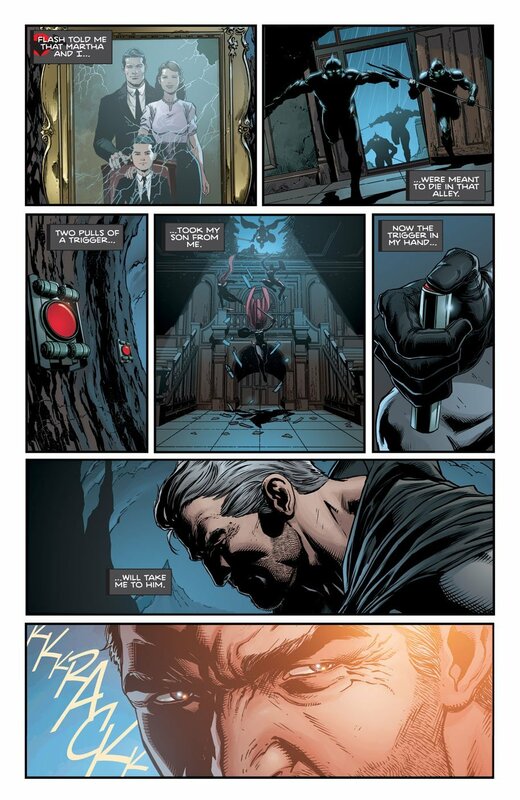 The creative team on Batman #22 needs to take a bow. This is the point where execution exceeded expectation, and they really upped the stakes in “The Button.” We’ll have to wait a little while longer for the conclusion of this arc in The Flash #22, but judging by this issue, it’s sure to be worth it. This is simply a must-read and must-own book.